Annual Holiday Exhibition: November 17 - December 31, 2018. Featuring local and regional artists in various mediums. 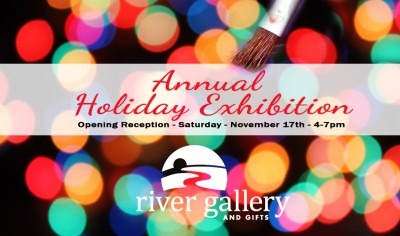 Opening reception on Saturday, November 17th - 4-7pm. Show dates include Small Business Saturday - Nov 24th and the Annual Lumbercity Winter Walk - Dec. 1st.